In today’s fast-paced, ever-changing online landscape it is hard to nail down the best way to draw in new clients and customers. Plus, with all of the options a business has it can be confusing and time consuming to figure out. But it doesn’t have to be. Read on to learn more about inbound marketing, how it benefits your business, and how to cut down on the time it takes. So, in other words, literally all online efforts are considered inbound marketing. However, if you read through the definition, that is an awful lot of content to create while also trying to run a business. That is why determining what you should focus on is the first thing you should do when deciding on an inbound marketing strategy. This will differ from business to business as services and products differ, as does your company personality. Inbound marketing allows a business the opportunity to showcase more than just specials and offers or a name. It’s an opportunity to show WHO your business is and to connect with your audience. So where should you start? First things first – If you haven’t already done so, set up your website! While it may be time consuming and an added expense to set up a website, it is essential to have an internet home base for potential clients to learn about your business, products, and services. A website should be aesthetically inviting, but more importantly should be user-friendly. Nothing drives internet users crazier than convoluted webpages where multiple clicks are necessary in order to get to the information they came for. Once the general website design and flow has been settled on, it’s time to beef up the pages and content. This is when blogging, video, podcasts – anything you can upload into your website – becomes a huge help. Adding supporting content to your more formal business content provides pieces that show off your company persona and knowledge; it also helps search engine ranking, provides shareable content for social media, and helps grow trust among your current and growing audience. Grow your catalog of blog entries and monitor feedback, either from analytics or directly from readers. Following the clues left by users, you can see what pieces your visitors are most interested in, helping you develop future content pieces that fit your audience’s needs. These ideas may come to your team organically as they write pieces as well. When this begins to happen, a business should consider “premium content” including white papers, e-books, or special offers. White papers and e-books are many times offered as added value content. They can be presented through email blasts, offered at the end of blogs or through a click-to-download button on your website. 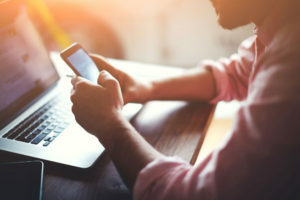 While you have contact information for users you are email blasting, the other two options provide a unique opportunity to harvest information on new leads. When providing an offer through your website, social media post or banner ad, the click through should bring the user to a specific customized landing page for the offer. The page should consist of an overview of the content a user can expect in return for filling out and submitting the information form. The form can be as basic as submitting a name and email, to detailed information or questions that shed light on why the lead is interested in the information. Another focus for many businesses is a social media presence. Businesses that have an active social media presence generate higher converting leads. Per Hootsuite “nearly 75 percent of companies that engaged in selling on social media reported an increase in sales in 12 months.” In addition to having higher sales, social media provides the opportunity to enhance the customer experience, gain insights on your audience, run economical paid ads that are targeted specifically to certain users, and to have some fun! Share fun photos of company culture, run trivia contests or giveaways, and celebrate holidays. Social media is incredibly personal so use that experience and show what makes your company unique, all while promoting your brand and product or services. Of course some material will work better on certain platforms than others, but a simple adjustment in strategy will actually streamline your plan and eliminate wasted time. As long as you are serving up content that users are looking for on the proper platform, you should see a high engagement rate and conversions that follow. No matter how you structure your inbound marketing program the main focus should be providing simple and informative content in an easy-to-use package. When even small efforts are made to grow the internet footprint of a business, changes will come. You don’t have to roll out an entire inbound plan all at once; Roll it out in stages that make inbound marketing a compliment to your business. Keep your focus on user-friendliness, quality content, and fostering a community, and your inbound plan will start delivering sooner rather than later.